Fralin P90 Pickups: Big, Bold P90 Tone - From Vintage to Modern. The Fralin P-90: a classic P-90 Pickup known for its big mid-range when used clean, and chainsaw grind when pushing an amp hard. This pickup has all the clarity and definition you’ve come to expect from Fralin Pickups. Please choose how you want your pickups to look in your guitar. We can use Gold Screws instead of Nickel for a small up-charge. ONE OF THE MOST ICONIC PICKUPS, NOW ON STEROIDS. We all love the sound of a screaming P90 Pickup. It’s been used on countless records and countless guitarists rely on it to give them that aggressive tone they’re after. It’s Rock & Roll, Jazz, R&B, Funk, Blues, and Country all rolled into one. At Fralin Pickups, our P90’s are given a healthy dose of USA-Made Parts and wound by hand, one at a time to deliver what you love most: amazing, unforgettable tone. Our stock set has a Stock Bridge and a -10% Neck. This calibrates the set to have the same output. If you would like to customize this option, please see below for a more detailed description. Fralin P90’s cover an impressive, wide tonal spectrum. Our P90’s have that undeniable thick Single-Coil tone. You can expect a clear, present, round bottom-end, and a sharp, aggressive top-end. You’ll notice a clear, fat midrange in-between. Single notes have a punchy, thick sonic footprint and have great sustain. Chords break up with a slight compression and great note separation. Fralin P90’s offer undeniable clarity and definition while remaining strong and punchy. You’ll notice a nice midrange snarl as this pickup is quick to break up and get dirty. You won’t notice a Fender Sparkle – for that, we recommend checking out our Alnico Rod model. What’s the tonal difference between this and your Hum-Cancelling P90? The Hum-Cancelling P90 is slightly louder, darker, and thicker. It’s quicker to break up, and has no hum. Our Stock P90 will have a bit more “glassiness” to it and a slightly softer, more vintage tone. What output do I choose? Our most popular set is the Stock Neck & Bridge. Going with a +5% output from Stock will thicken and darken the tone. Going with a -5% will clean up and reduce the midrange, making it sound more articulate and clear. What lead do I choose? This depends on your guitar and a few other things. Gibson Lead: Go with this if installing a set into a Gibson-style instrument, where each pickup has it’s respective volume pot. 2-Conductor: Go with this lead if buying a Single, or installing into a Fender-Style instrument. What’s the String Spacing? 50mm. Can you do F-Spaced P90’s? As it turns out, we can not. Sorry! What Pots should I choose? 500K, all day. I don’t see what I’m looking for? We can do some custom work, for sure. However, we’re not tooled-up for certain things, like Nickel Dogear Covers. Contact us if you’re not seeing something you’re looking for. How far away from the strings does the pickup need to be? Push your Low E String down at the highest fret. Measure from the top of the pole piece to the bottom of the string. Ideal starting location should be 1/8″ on the bass string, and 1/16″ on the treble string, when the High E string is pushed down at highest fret. Wound to Vintage Specifications with 42 Gauge Plain Enamel Wire and uses Alnico IV Magnets. 500K Pots are recommended with this pickup. Our Stock Set reads 7.2K on the Neck and 8.2K on the bridge. Our P90s will “Meter Down”. They will match most everything that we make. If buying a single, request a “2-Conductor”, where we separate the ground from the coil, allowing you to reverse the coil if need be. However, we’ll still need your magnetic direction. We only have Black and Cream Soapbar Covers in 52mm Spacing. We cannot provide White, Raw Nickel, or Polished Nickel Covers in 52mm Spacing. I have used Fralin pick-up’s on new build and vintage guitar restorations for several years. I highly recommend, Just put a set on a 1958 Gibson they sound so great. Great pickups. I think I’m going to try 250k pots to get a bit more of that spanky strat tone. 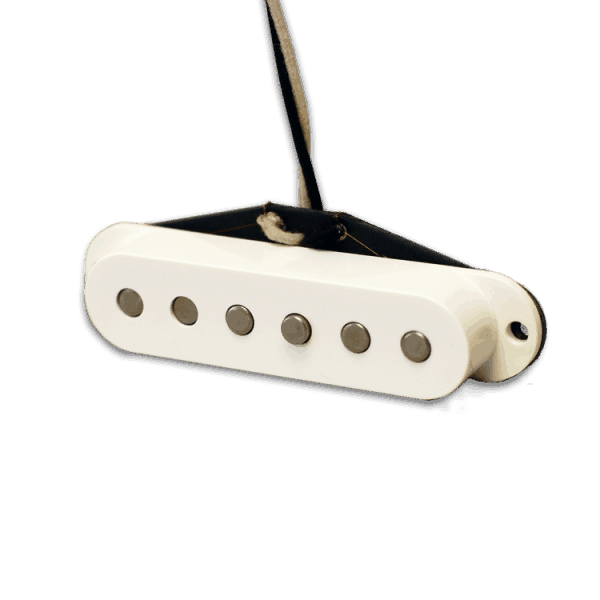 The Fralin P90 dog ear is a replacement for a newer LPJ P90 that had alnico slugs. The Fralin P90 is balanced and provides some nice tones, especially if you drive the amp (via box or volume) into some distortion. At the same time replacing the pickup, I pitched the LPJ circuit board controls and wired in a 1950’s style control circuit with PIO capacitor. 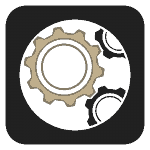 Very pleased with how this turned out, and am enjoying playing it. Recommend the Fralin P90 if you’re looking for a new P90. I’m thrilled to report that I just installed my third Fralin pickup in one of my four Telecaster’s I’ve built from parts – this one a P-90 (-10%) in the neck position in conjunction with a stock bridge pickup. It’s truly amazing how the voicing of this instrument has been sharpened exactly, even more so to what I had envisioned! I’ve followed many of the articles on this website to help with pots, resistors and wiring on my projects. I’ve also purchased and installed a Fralin ‘P-92’ and a ‘Pure PAF’ in my other Telecasters with similarly eye opening results. Just wanted to thank you for a great product and for all the information your company shares to help us get the sound we love! I love these pickups! They have the sound I have always wanted! Pictured below are the p-90’s in a silvertone 1449 and pure paf humbuckers in an epiphone riveria. Excellent sound and customer service. I purchased a p90 for an archtop. My guitar had a very low string clearance and Lindy worked with me personally on getting it dialed in just right. I am incredibly happy with the results. …very loud and with rich tone! I just bought a pair of Lindy’s P-90 soapbars to put in a 2012 Les Paul Tribute that had Gibson Mini-Humbuckers in it. I could never quite bond with the guitar and the sound I was getting. It was not smooth and the breakup did not have the bite I was looking for. So I bought Lindy P-90s and ordered them stock with traditional Gibson braided shield wiring. I tossed the Gibson treble caps and use a pair of Orange drop .022s thinking it would be a nice pairing. (I also replaced the stock tuners with Klusion locking tuners) It is now a beautiful sounding LP. The soapbars sound fantastic! It is the sound I had been hearing in my head. The best descriptive I can use is SMOOTH! Responds so nicely to dynamics in pick attack. Subtle changes in tone and volume controls can add a little bite or make them purr. I am very happy with the purchase! My Goldtop no longer sits in its stand collecting dust! Nice work! P-90 matched set: I Installed these on my 1974 Gibson Les Paul that I recently restored which had the original mini-humbuckers, but I wanted P-90’s on one guitar. Construction is high quality. The matched set sounds great! Nice clear warm tone from the neck PU, and crisp stinging tone from the bridge PU. Both PU’s can push a clean amp into overdrive when turned up. The PU’s enhance the natural sustain of the guitar. I did have to lower the neck PU as much as possible in it’s slot, and raise the bridge PU as high as possible, to get the most even balance. With the neck PU wound at -10, maybe having the bridge at +5 would have been easier to even them out. Overall though, I’m very pleased with the results! Fralin vs. Gibson: I Replaced Gibson pickups that were very muddy in my 2018 LP classic with Lindy’s regular stock set. I now have a guitar that is much more articulate and still has that p90 growl! I just put these in my 73 LP Gold Top. Wow… Massive difference over the stock PUs. More bite, clarity, roundness, and definition. Overdrives as sweet as I have ever heard!! Thanks!! I love my new P90 pickup and appreciated the great customer service. The original pickups in my ’54 goldtop sounded good but the bridge pickup became very micro-phonic, unusable. After installing the Fralin pickups I just can’t put this guitar down. The clarity (at all volumes/gain levels) is nothing short of amazing. Going from clean to a gnarly growl is effortless, just a twist of the volume control. And I’m also very pleased with how quiet they are. As with all single coils, you’re going to have 60 cycle hum. But with Lindy’s pickups the hum is minimal. I was in love with the P90 sound, now it’s absolutely blissful to me. I also have a set of Lindy’s pure PAF humbuckers in another LP, also a dream to play. Absolutely adore these p90’s. Versatile, lovely musical tones (almost bell like with the volume rolled down) and very responsive; they will not hide bum notes or sloppy playing, but will greatly reward all tasteful musically nuanced playing. Highly recommended, thank you Lindy. 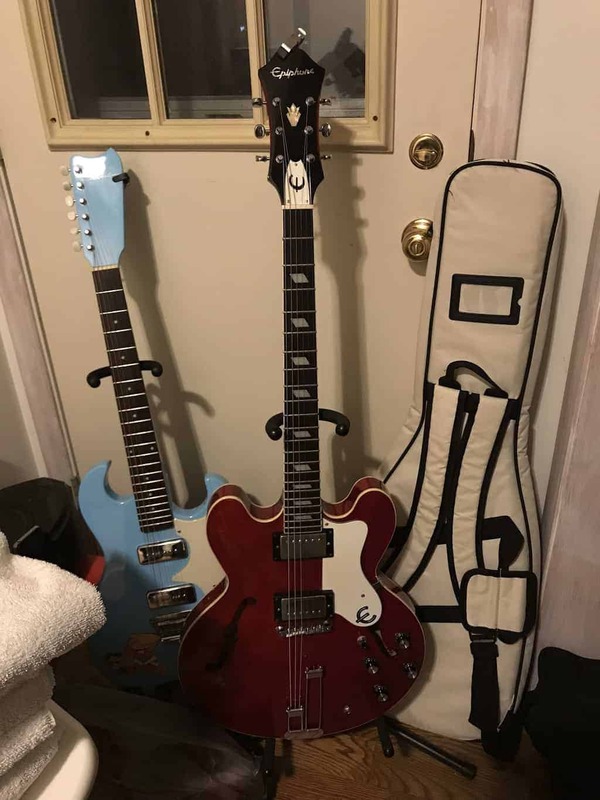 Bought a Epiphone ES-339 Pro model …. The pick up in it were ok….but wanted something sharper and stronger….The Fralin P90’s really did the trick….It turned a relatively inexpensive, but a good and enjoyable guitarinto a very high quality-sounding instrument….Thanks. Great pickups! Thanks for the good work! Stock wind P-90 set: Dope tone and snappy attack! I love these pickups. Replaced some Chinese made P90s with these in a Jazzmaster style guitar and I couldn’t be happier! Great tone, creamy sounding, love them! One of the best-Excellent P90s! Spoke to Lindy after returning a set of pickups that didn’t suit me. He took the time to listen to my subjective babble, then built me a pair of custom wound P-90s that just light up my blackface amps. Incredible range of tone with the two pickups. I’m a 62 year old kid again (at least for a while). I put these P-90 pickups in a dual pickup Les Paul Junior. It is my first experience with P-90s. I was extremely pleased with the results. The pickup set arrived quickly. I installed them after applying shielding paint to all the cavities and grounding them. I used two 500k CTS pots and a 22 cap. The P90’s are powerful, clear, and very strong in the midrange but not shrill. There is very little single coil “hiss” and in the “both” pickup selection they are quietly hum bucked. These pickups really help my guitar punch through the mix and is a nice blend with the other guitar player in the band as he uses a PRS guitar with standard humbucker pickups. Allows a nice blend where the two guitars are distinct. I did have an installation question and called for advice which Lindy provided for me. It was accurate and cleared things up for me. Just a phone call away!! 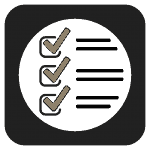 Very excellent service and Fralin makes an excellent product. I’m going to build another dual pickup Les Paul Junior and this time I’m going to try the Fralin humbucking set just to check out the difference, but this P-90 set really has the punch and response I was hoping for. Great product. I was looking for a pickup that had the attack and brilliance similar to that of a Dynasonic or Gibson’s Staple P90 of the mid 1950s. The unique sound of these two pickups are scattered across countless Eddie Cochran, T-Bone Walker and Elvis (post Sun Records) recordings; Scotty Moore’s iconic sound from his years at RCA are the best example of a Gibson Staple P90. On the tonal spectrum the Dynasonic and Staple are nearly identical to each other and fall in between the snap of a Telecaster bridge and the bite of a P90, perhaps slightly closer to the Tele end: this is what I was chasing. I ordered and installed Lindy’s AlNiCo pole +5% P90 in the bridge position of a Guild hollowbody and I was NOT disappointed. I believe this pickup is better than both Gretsch’s Dynasonic and Gibson’s Staple. I liked that this pickup lacked the twangy attack the Dynasonics typically have and it is not as scooped in the mid-range as a Staple, harmonically richer as well. The best way I could describe this is pickup is having the attack and clarity of a 50s Broadcaster pickup with the fullness and chime of a 50s P90 played clean. This pickup may not be for everyone because it really resists breaking up. While it has plenty of snarl it will not overdrive like a P90, this is exactly what I wanted – clean and loud. This pickup sounds best with low wattage combos like Tweed style amps. Brownfaced amps can be dialed in to sound excellent with this pickup but my experience proved blackface amps are too clean and, while sounding big, the pickup sounds somewhat sterile because it simply will not begin to growl even with the volume dimed. If you put the pickup through a preamp or boost, just pinch the boost a bit, you can get it into snarly P90 ground but with more clarity and definition; it doesn’t compress like a P90. If you use a good tube preamp, a tape delay as a preamp or boost it acts much more like a P90 and cleans up when you bring the guitar’s volume down a little. 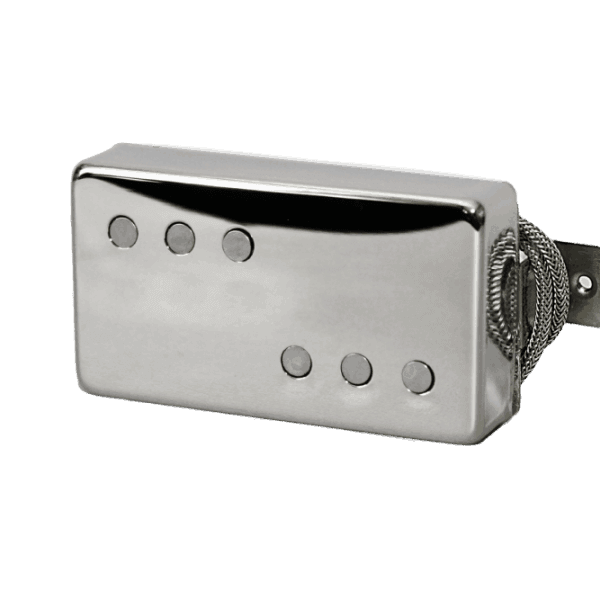 Overall, this pickup is very responsive to the volume and tone controls on the guitar. 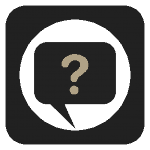 I find that a majority of the sweep on the volume control is usable and, if using audio log pots with 22 caps, the tone can be gently brought down to even off the brightness giving you a lot of versatility. While I rarely use pedals, this pickup responds excellent with a good overdrive pedal and boost pedals. 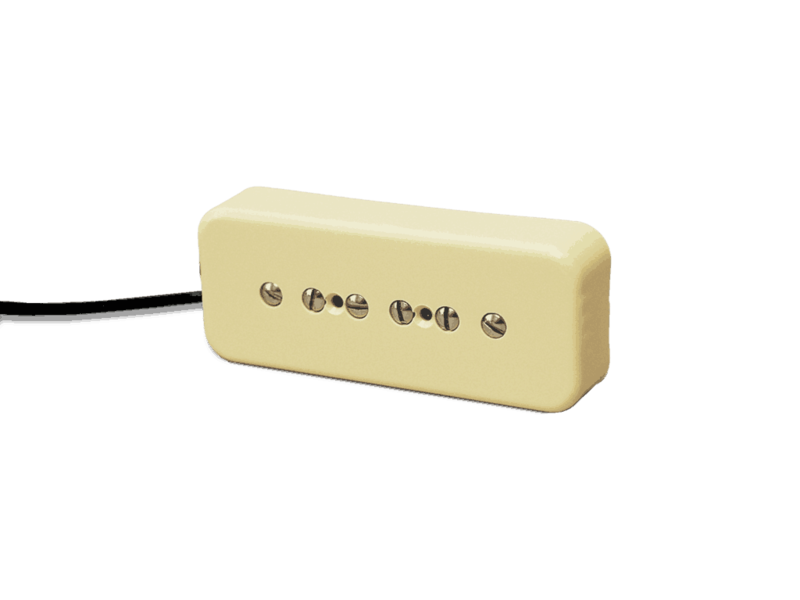 If you like the response of a P90, if you feel Fender’s single coil pickups sound too thin, yet you want the clarity and bell-like tone they offer this is the pickup for you! I should have done this a long time ago. I changed out the pickups in a Wildkat. The shop I took the guitar to had some issues installing the pickups and Lindy advised that I needed an additional shim. I cannot say enough about Lindy’s customer support. Once the new pickups were in, the shop asked if they could keep the guitar for an extra 2 weeks because everyone in the store loved the sound so much! I play through an original Fender Blues Deluxe or a Clark Beaufort (Deluxe clone). I get compliments on the sound every time I play. I am looking at a new guitar with P-90’s and if I get it I will be buying Lindy’s to replace the stock set. I have the stock set in a Gem series Les Paul Studio. They are fantastic pickups! Out of phase they quack beautifully, getting that classic Hubert Sumlin sound, but also capable of morphing towards Buddy Guy, and even a little Peter Green. The bridge has enough twang for country, the neck gets a fabulous Jump Blues sound. I contacted Lindy about a custom wind I wanted for my Gibson SG Jr. 60’s model. The stock pickup just did not have enough punch for my taste. Lo and behold, I get a call from the man himself! We talked about what I wanted, basically a significant overwind with a custom wire. We talked and dialed in exactly where it needed to be. Once it arrived, I installed it in my SG and cranked it up. I play a ’74 Marshall jmp 50 which was Jose modded by Voo Doo amps. This baby really sounded like the hammer of the Gods cranked through the Marshall! Plenty of extra punch. A bit darker, which was what I wanted since the stock pickup was too thin and bright. The huge improvement was the presence and harmonics. Wow! This pickup is alive! You can feel every note. The harmonics and sustain are off the scale and the presence is just spooky! Since it’s basically one of a kind due to the wire, I have dubbed it “The Devinator”! It has a permanent home in my Gibson now. Thanks again Lindy! I got a good deal on a new Epiphone Casino. It is a beautiful guitar and very nicely made. But the stock pickups, as so many before me have experienced, were horrible. I have always loved American Gibson P-90’s, but you can’t find dogear style anymore. After listening to a bunch of samples, I decided on Lindy Fralin. I thought they came closest to vintage Gibson. They came last week and immediately improved the sound 100%. But they were a little low so I ordered a couple .100″ shims. I just put them on and I cannot believe how good that guitar sounds. Straight into my Deluxe Reverb it has that growl and punch P-90’s are known for. The sound of classic rock. I could not be more satisfied with these pickups. Thanks, Lindy. I sent in a set of stock Epiphone P-90s to have them rewound for a Casino that I had assembled from individual surplus parts. The stock pickups I acquired for the project had a DC resistance of 12K ohms, a little too much emphasis in midrange, lacked high end clarity, and additionally the neck position was overly boomy in comparison to the bridge. The completely rebuilt set I received has perfect balance, crystal clear chime, and just an overall absolutely wonderful tone. I had expected the set to come back sounding better, but was unprepared for just how much better that turned out to be. It was as if I was starting over again with a new instrument after I got them installed. This company’s customer support, communication and order fulfillment are second to none. I could not be happier with my purchase. Thank you! I put the p90 in a epiphone wildkat. Sounds with clarity and definition. Not dark like the stock ones. I am very happy with the sound of these pickups. I put these in a vintage 1965 epiphone casino . It had been loaded with humbuckers but now it is back to the original sound. You guys did a great job. I played out with them the first chance I got. The sound man commented on how noise free this guitar is. Unusual comment for a single pickup guitar. I can’t stop playing the old epiphone now. I chose the stock wind and I am very satisfied with the sound and balance. Chimey highs and a smooth bottom end. I am very impressed . I worked in the r/d department at Ovation and also at Guild in the 70’s and 80’s and know a bit about sound. I play through a 1966 (not a re-issue) Fender Princeton Reverb or a Fender Hot Rod Deluxe, great sound through either amp. I play in a Christian Blues and Southern Rock band . We are on you tube under the name Leftovers .